The petition is being promoted by a new nationwide TV ad that includes quotes by presidential candidates Hillary Clinton, Ted Cruz and Marco Rubio endorsing a genocide declaration for Christians in the Middle East, a position supported by 55 percent of Americans, according to a 2015 K of C-Marist poll. “Christians in Iraq and Syria have suffered injustice after injustice by being kidnapped, killed, having their homes and churches confiscated or destroyed, and being forced to flee for their lives. Because of hit squads, they fear to enter UN refugee camps and, as a result, are then often excluded from immigration to the West,” said Supreme Knight Carl Anderson, who signed the petition and testified on the matter before a congressional subcommittee in December. The State Department is required by law to make a designation one way or the other on the matter by mid-March. Signers of the petition “implore” Secretary Kerry “to speak up on behalf of these brutalized minority populations.” They conclude by urging him “to declare that Christians, along with Yazidis and other vulnerable minorities, are targets of ongoing genocide,” arguing that such a declaration meets the criteria established by the United Nations Convention on the Prevention and Punishment of the Crime of Genocide. In just its first hours, the online petition attracted some 15,000 signatures, including those of Gov. John Kasich of Ohio; Cardinal Timothy Dolan of New York; U.S. Bishops Conference President Archbishop Joseph Kurtz; Leith Anderson, President of the National Association of Evangelicals; Archbishop Oshagan Choloyan, Prelate of the Armenian Apostolic Church of America (Eastern Prelacy); historian Philip Jenkins; human rights experts and activists; and Hollywood producers Mark Burnett and Roma Downey. IDC is a non-profit, non-partisan organization that seeks the protection and preservation of Christians and Christianity in the Middle East through raising global awareness, mobilizing international support, and educating policymakers toward constructive international policies on their behalf. I was at a meeting this morning with one of my Catholic networking groups where Karen O’Brien with CARITAS of Virginia spoke to us. It was a terrific reminder of all the wonderful services that are offered to those in need here in Richmond Virginia. The list of services, volunteer opportunities and donation options is staggering. Not to mentions all the additional services available to help people get their feet back on the ground. From Bishop Barron – Lent Begins Tomorrow! Tomorrow begins our great journey through Lent. Together, we will join with thousands of other Christians as we mark the days until we celebrate the Resurrection of the Lord. For many people, the big feast of the year is Christmas, but for Christians, the truly great feast is Easter. Without Easter, without the Resurrection, we would not have the gift of salvation. Jesus had to rise from the dead or else he would have just been another failed Messiah and his birth would be a forgotten footnote of history. That’s why Lent is such an important time of year for us. It is the period when we refocus on the passion and death of Jesus so that we will be ready to embrace the good news of the Resurrection at Easter. As we begin with Ash Wednesday tomorrow, and its reminder of repentance, let us lock our eyes on the Lord and embrace this journey of transformation. PS. Check your inbox tomorrow morning for your first daily Lent reflection. Dear RVA Pro Life supporters! Please call your representative TODAY/ASAP and tell them to support House Bill 963 “Pain-Capable Unborn child Protection Act. The name of the bill is important. Changing the name would weaken the bill. Unborn babies can feel pain. Let us work to get this compassionate and common sense bill passed today! Who’s My Virginia General Assembly Member? The 40 Days for Life campaign starts tomorrow and runs through March 20. In many instances, the “one person” getting things started is the local leader in each of the 273 locations. Volunteer local leaders are the backbone – and heroes – of 40 Days for Life. Their “yes” is a leap of faith … and it gives YOU the opportunity to save lives from abortion where you live. So find your nearest location, sign up for a time … and make a difference! Some people take an hour a day, while others stand an hour a week. It’s a sacrifice. It’s not always convenient. But it’s worth it! The Lord will hear your prayer … and moms will see your peaceful presence and have one last chance to choose life for their baby. After all … you can make a difference! Please forward this info. 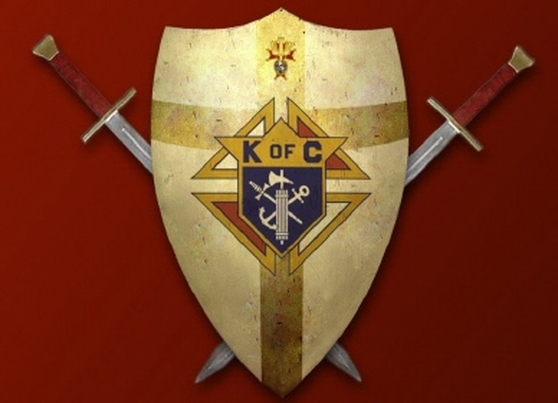 to Men’s Ministry and K of C. Many thanks. 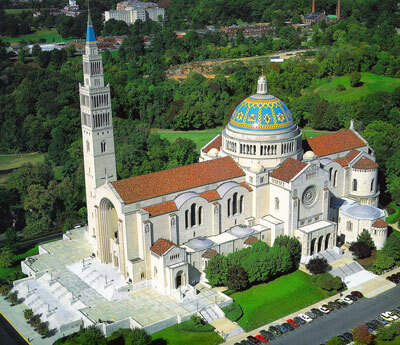 The Men’s Ministry Pilgrimage to the Shrine of the Immaculate Conception in Washington is on Saturday, March 5. This year we will be joined by a contingent of the Men of St. Joseph from St. Edward Church. The Lenten Pilgrimage includes a tour of the largest Catholic basilica in the United States, opportunity for Confession, a private Mass in the Our Lady of Czestochowa Chapel celebrated by Fr. Stefan, Stations of the Cross, and lunch at an Irish Pub. Also available is an optional side trip to the nearby Dominican House of Studies, as well as opportunities for private prayer and gift shop/bookstore shopping. In this Year of Mercy, the Holy Door of The Shrine will be open and Pope Francis has conceded a plenary indulgence to pilgrims meeting the usual conditions (all available at some point during the day). Preparations are underway for the Annual Lenten Parish Fish Fry which takes place on Friday, March 11th. At the encouragement of Monsignor Carr, we will continue to take the lead role to put on the Fish Fry, working alongside the Liturgy Committee and other volunteers. Besides being a fellowship event, profits from the Fish Fry will go to the Knight’s Catholic High School Scholarship fund. Beginning the weekend of February 13 – 14, we will begin selling tickets after each Mass, and will continue for four weeks (through March 5 – 6). Please help sell tickets for the “Fry” after Masses during the coming weeks. The attached document has the times and needs. If you can commit the the same Mass each week, great – thank you!!!!! It will only take 10 minutes after the Mass. We’ll have the tables, tickets, and signage ready to go, along with instructions. I will be sending a separate email asking you to volunteer for a role at the Fish Fry itself. It is always fun and a great way for the Knights to put on a great evening in service to the parish! Please respond to that when it comes. Thank you!!!! Please respond as soon as you can about helping to sell tickets.